This recipe is similar to the mousse except in a pie form. 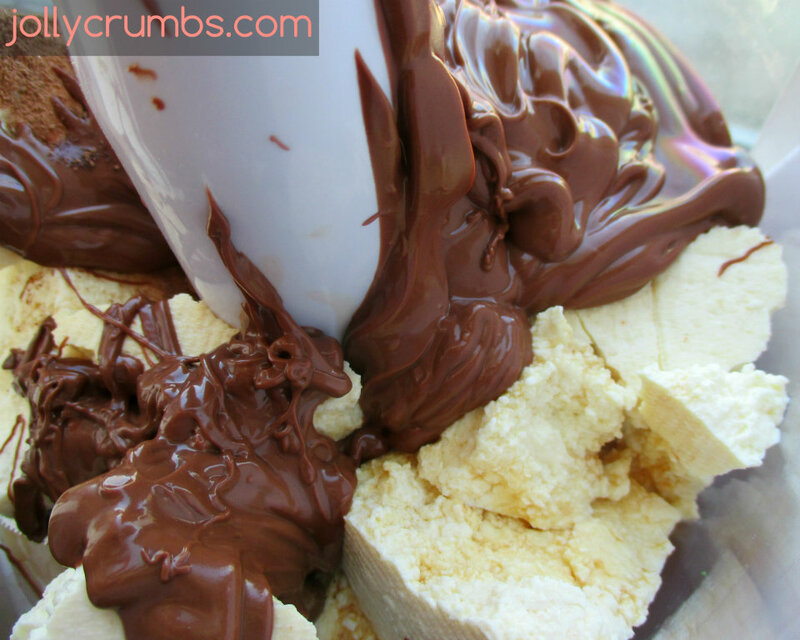 The filling is made from a blend of cocoa powder, melted chocolate, vanilla, and tofu. This dessert comes together quickly. The most time consuming part of this recipe is waiting for the pie to set up in the refrigerator. This is definitely chocolaty and delicious. I added some leftover chocolate chips on top for decoration, but you can leave them out. 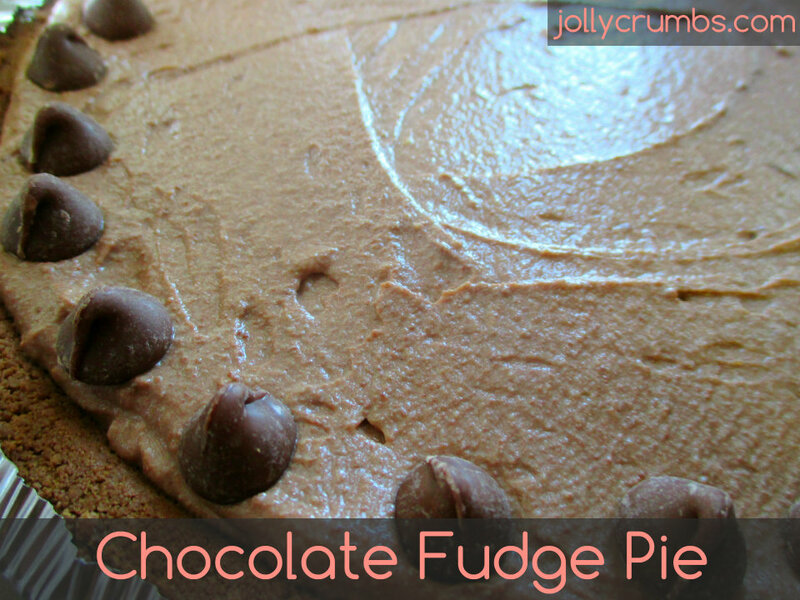 Or you can throw them in to the mix and create a chocolate chip fudge pie. Either way, this dessert is a chocolaty treat. You wouldn’t even know there is tofu in this. This recipe only requires a few steps to put together. It’s very simple and doesn’t require any real effort at all. First, carefully melt the chocolate in the microwave or a double boiler. Drain the liquid from the tofu. Press tofu firmly in a tea towel or between several paper towels to get as much moisture out as you can. Place all ingredients into a food processor or blender and blend until super-smooth. Pour the filling into a pie crust if desired. 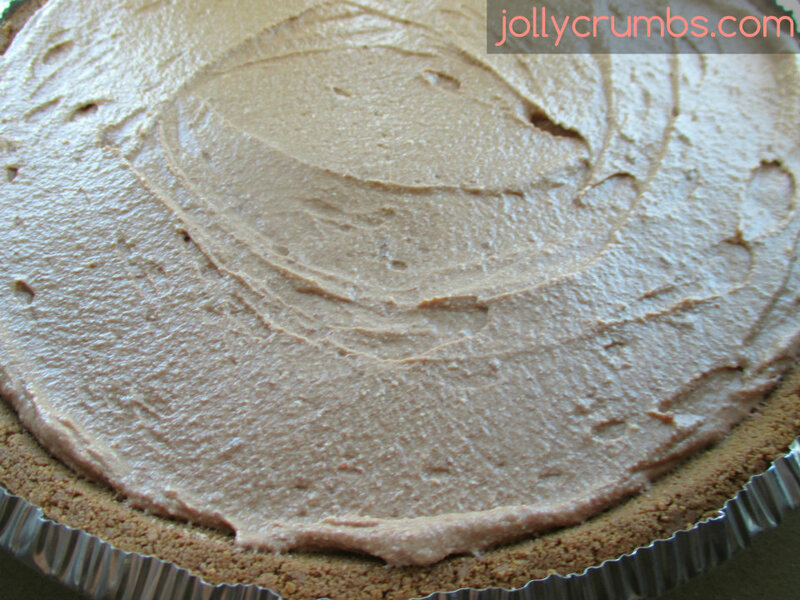 I used a chocolate pie crust which was delicious with this. However, any pie crust would be tasty. If you aren’t a fan of crust, you definitely don’t have to use one. Place in refrigerator until chilled and set (about 1 to 2 hours depending on type of tofu used). This is a very easy pie to make. It’s rich, smooth, and very chocolaty. You don’t need any special equipment past a standard blender to make this. I promise you the tofu is undetectable. It creates the smooth and velvety base of this pie. The chocolate really takes the stage with the flavor. The tofu absorbs all of the chocolate flavor, so no one would guess this pie is mostly tofu. Not to mention this pie is way lower in calories than standard chocolate fudge pies. You really can’t go wrong with this dessert! Carefully melt the chocolate in the microwave or a double boiler. Drain the liquid from the tofu. Press tofu firmly in a tea towel to get as much moisture out as you can. Place all ingredients into a food processor or blender and blend until super-smooth. Pour into a pie crust if desired. Place in refrigerator until chilled and set (about 1 to 2 hours depending on type of tofu used). When choosing a tofu, silken tofu will yield a softer, mousse-like pie. The firmer the tofu the firmer the pie will be and better it will hold up to its cut shape. Also, letting it sit in the refrigerator for longer will yield a firmer pie.